The first of three speically painted "heritage" F-15s was unveiled at RAF Lakenheath on January 31, 2018. 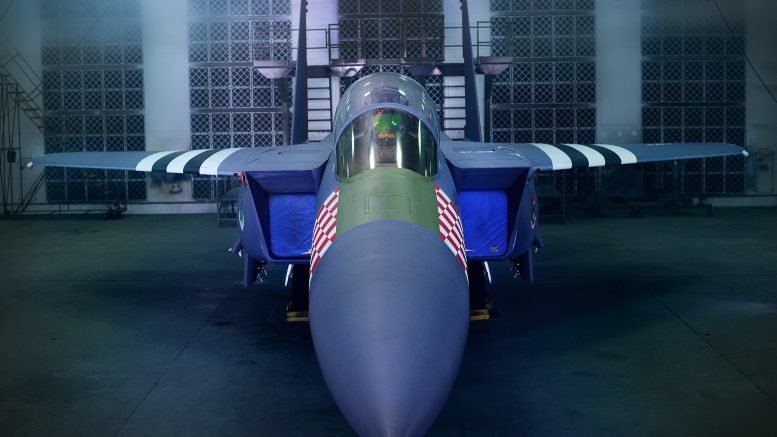 The F-15E Strike Eagle assigned to the 492nd Fighter Squadron has been painted in the colour scheme that was worn by 48th Fighter Wing's P-47 Thunderbolts during D-Day operations. During the Second World War the 48th Fighter-Bomber Group operated P-47s in operations throughout Europe, including the invasion of Normandy.